It’s crazy hot outside, so we’re eating these cool, no-bake desserts to cope. With all the running, swimming, climbing, and trekking that we do with the kids in the summer, we deserve a couple of extra calories at the end of a long, hot day, don’t you think? But the best thing about these cold sweet treats isn’t just that they’ll ward off the heat waves, but that all of these recipes are no-bake desserts too. Because who wants to be standing over an oven in the sweltering summer heat? Related: Keep your kitchen cool with 10 easy no-bake dessert recipes. One of my friends takes her kids for ice cream every Wednesday night, and this recipe for Butterscotch Milkshakes at Half-Baked Harvest (pictured) is enough to convince me to do the same—just at home with a blender. 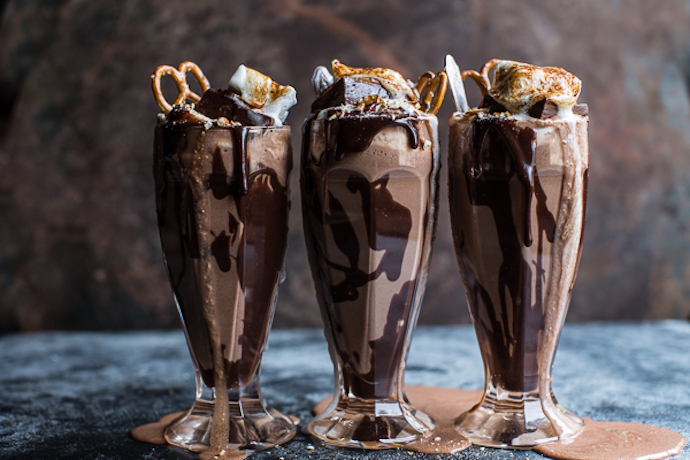 Or, if butterscotch isn’t your thing, try Tieghan’s incredible Salted Pretzel Nutella Fudge Milkshakes with Malted Milk Whipped Cream (pictured top). 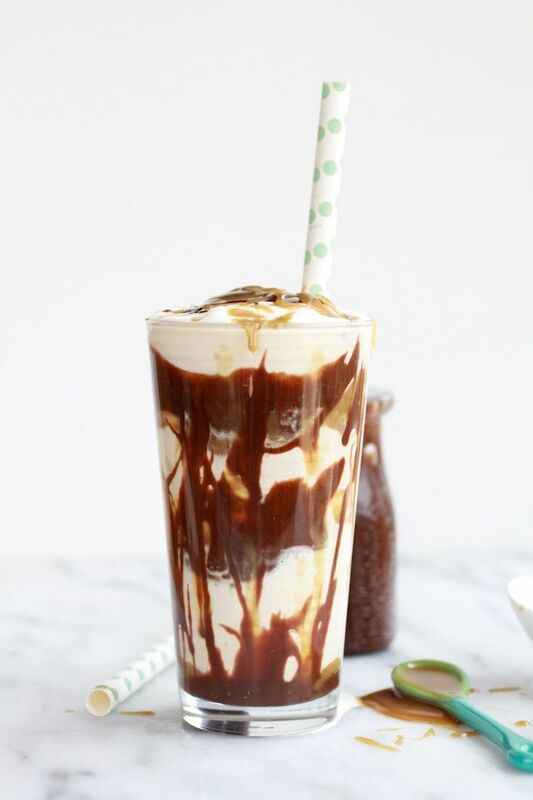 Yep, this milkshake would definitely bring all the boys—and girls—to the yard. Want smart and easy? 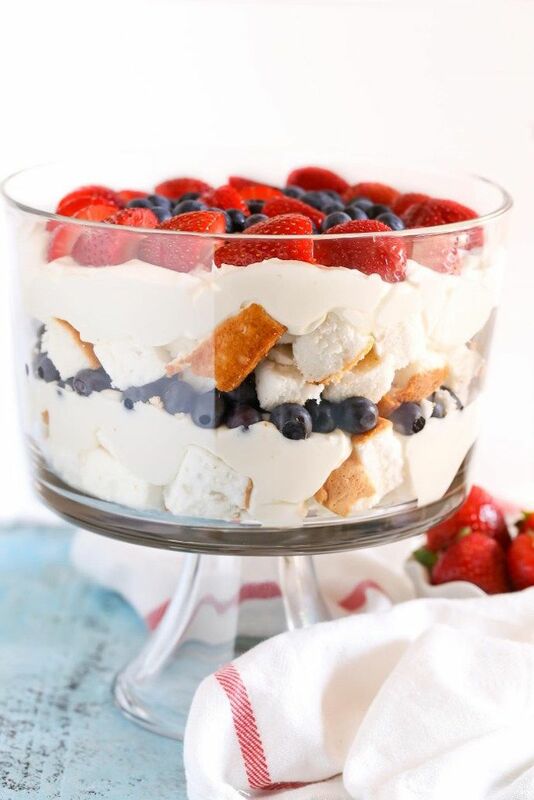 This Berry Cheesecake Trifle at Live Well Bake Often is both and the kids can help you make it too. Put their little hands to work tearing store-bought angel food cake into chunks while you quickly mix up the cheesecake layer. Add your favorite berries and you’re done. Okay, okay. 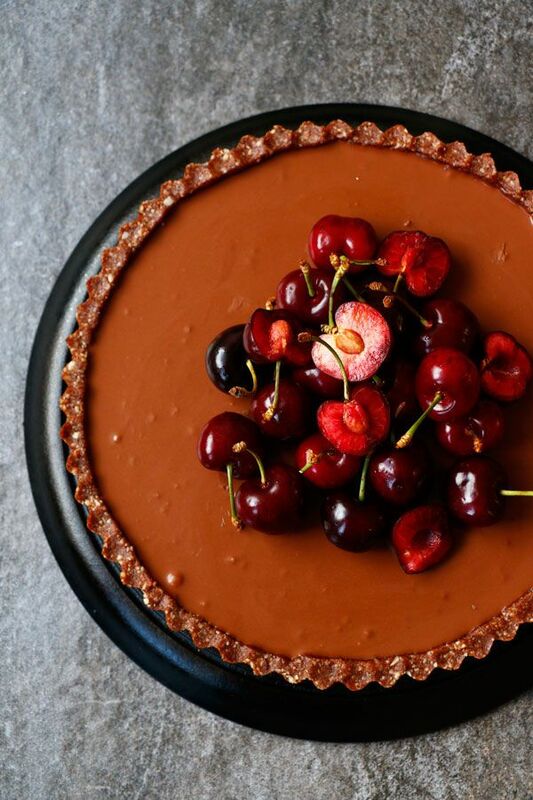 Maybe milkshakes every week and cheesecake tarts might be a few more calories than I’m burning off with my kids this summer, which is why I love this Cherry Chocolate Tart recipe at Nirvana Cakery. This grain-free, vegan recipe is stunning (and delicious) without any of the after-dessert regret. Recipe: An easy DIY ice cream cake recipe that uses the most amazing store-bought hack. This Ice Cream Dessert Pizza at The Recipe Rebel is perfect for al fresco summertime get-togethers (as long as you’re hosting and can keep it in the freezer until serving time, because it’s going to melt fast). 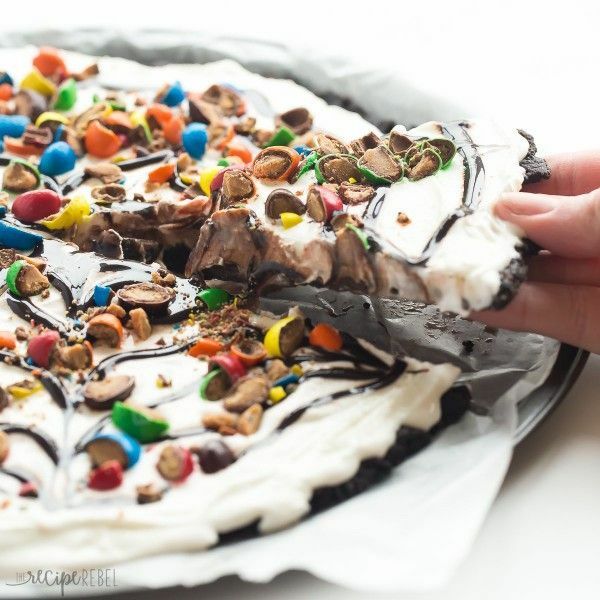 While I love Ashley’s Oreo cookie pizza crust idea, I can see it getting a little messy and might consider just buying a store-bought chocolate cookie pie crust instead. It’ll make prep even easier too. Every time I make this creamy, yummy Layered Chocolate Pudding Dessert at the Gold Medal Flour website, people ask for seconds. Their recipe includes scratch shortbread (which, yes, you have to bake), but you can easily substitute store-bought shortbread cookies. Use the big ones to make for easier cutting and serving. When I’m serving dessert for a crowd, I love making individual portions. They’re so much easier to serve and no one sits watching you slice a cake or pie (and getting the filling all over your fingers!). 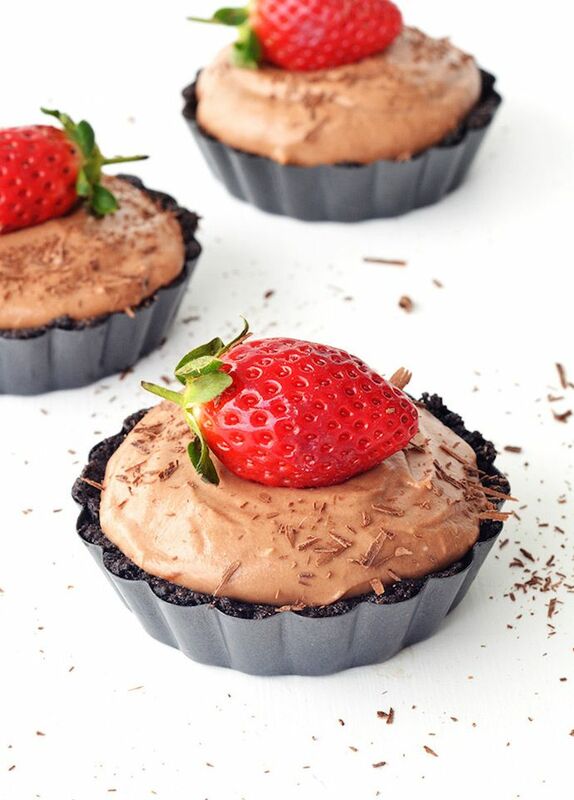 Of course, Nutella is always a good thing too, so I’m definitely going to try these Nutella Mousse Pies at Sweetest Menu for my next cookout. Yum. 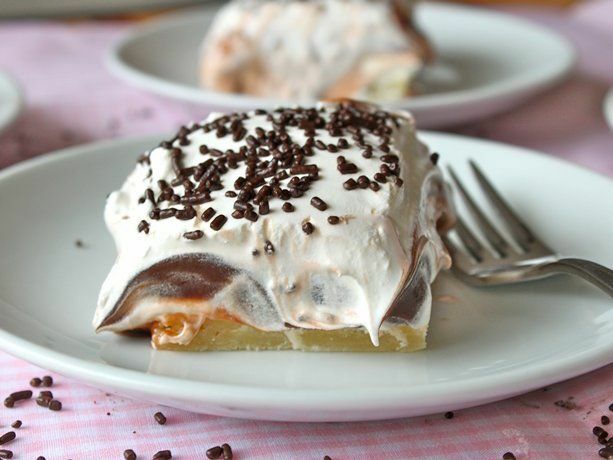 Related: 7 easy icebox pie recipes that you can make ahead for summer entertaining. Or whenever. When it’s this hot outside, the last thing I want to do is sit around a campfire. Even s’mores can’t lure me, which is why these S’mores Cups at The Big Man’s World are a great alternative. 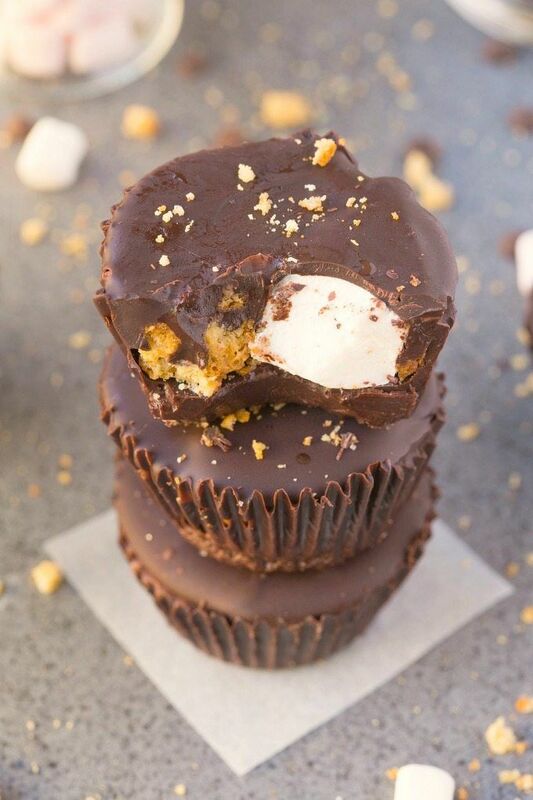 Chocolate candy filled with marshmallows and graham cracker crumbs? Brilliant! This recipe is vegan, but I don’t see why you couldn’t use your favorite chocolate and marshmallows, even if they aren’t. 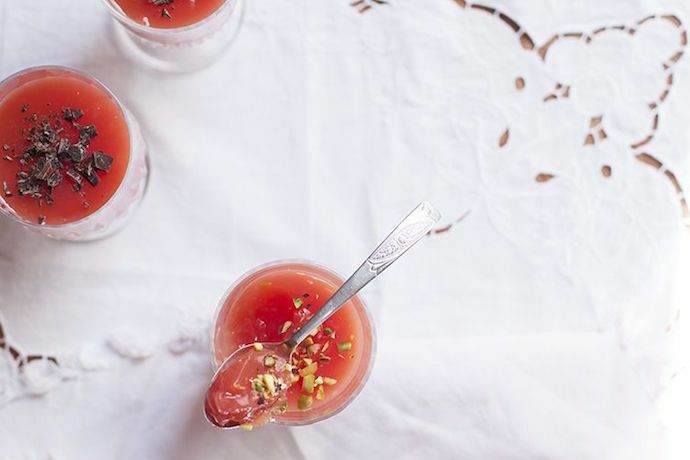 I have to admit, I’d never heard of Watermelon Pudding before I stumbled on this recipe at Food 52 (pictured; photo by Emiko for Food52), but now I’m fascinated. It says that it has the consistency of lemon curd, which actually sounds pretty delicious. I’m going to try a batch of this their original way, plus a few batches with their suggested addition of cinnamon and jasmine. I might even swirl in some lime curd. I think this could be a big hit! What a lovely mouthwatering selection! Thank you so much for including my Cherry Chocolate Tart. Thanks for making it. Looks so delicious!